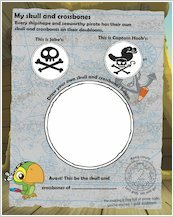 Every budding pirate loves to hunt for treasure! 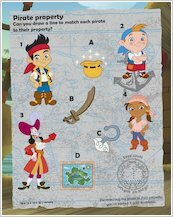 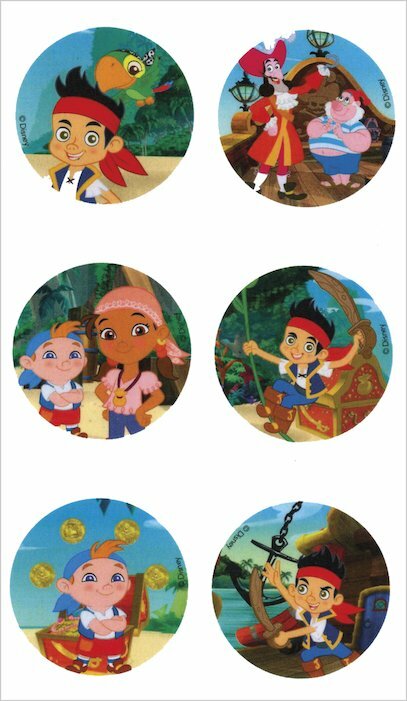 Join Jake’s swashbuckling crew and see how much fun you can dig up! 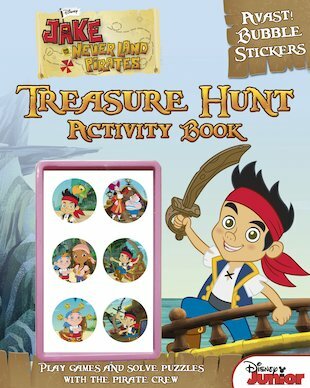 Packed with games, puzzles and awesome bubble stickers, this thrill-a-minute funbook lets you practise all the skills you’ll need for a life at sea. 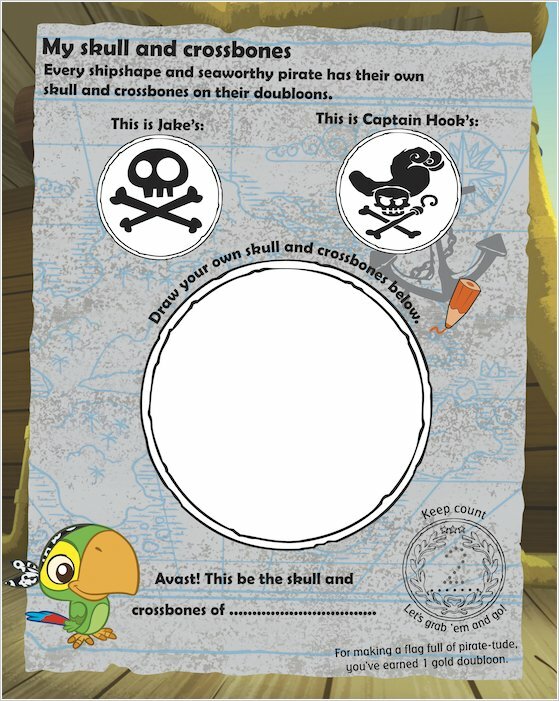 Explore desert islands, find your way through treacherous rocks, swing from the ship’s rigging, count up golden doubloons or battle Tick-Tock the hungry crocodile. 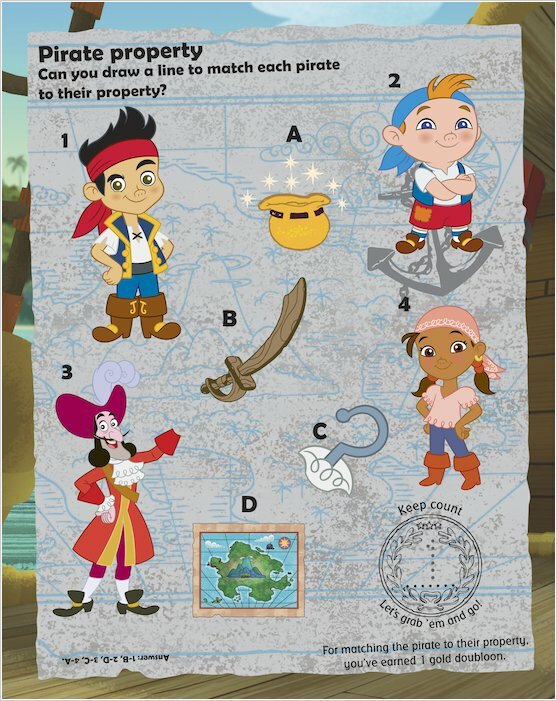 You can do all this (and more) in magical Never Land – as long as you steer clear of nasty Captain Hook!